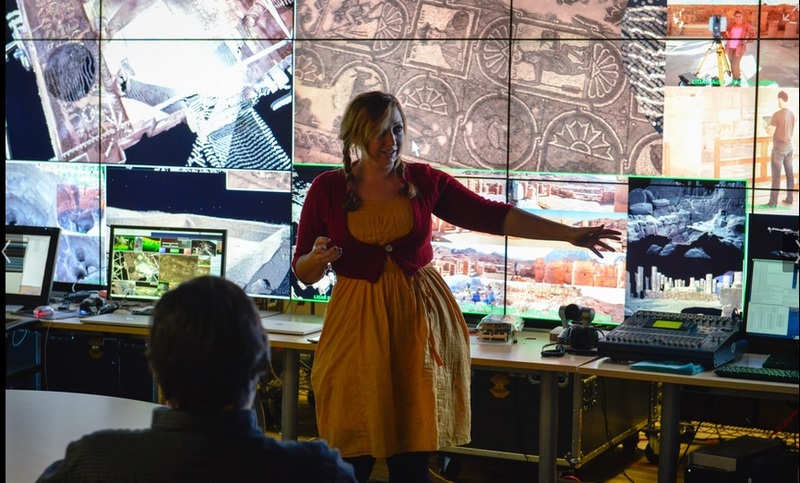 Throughout the past few years, Vid and I, along with a handful of others, have been responsible for leading the Center of Interdisciplinary for Art, Architecture, and Archaeology’s (CISA3’s) tech demonstrations to groups interested in digital archaeology and visualization technology. These typically took place in and around the visualization systems at the California Institute of Telecommunication and Information Technology (Calit2) in Atkinson Hall on the University of California, San Diego campus. These demonstrations were conducted on behalf of visiting dignitaries (please see the earlier posting about the visit of the Jordanian Prince), leaders of industry (with a particularly strong flow of traffic from Qualcomm and Leica Geosystems), visiting researchers from all over the world, and occasionally for younger students as part of CISA3 and Calit2 education outreach efforts. One of the more well documented demonstrations was for the California CENIC group. Calit2 photographer Alex Matthews photographed: check it out on his Flickr album of the event. The banner and favorite images below are also his work. 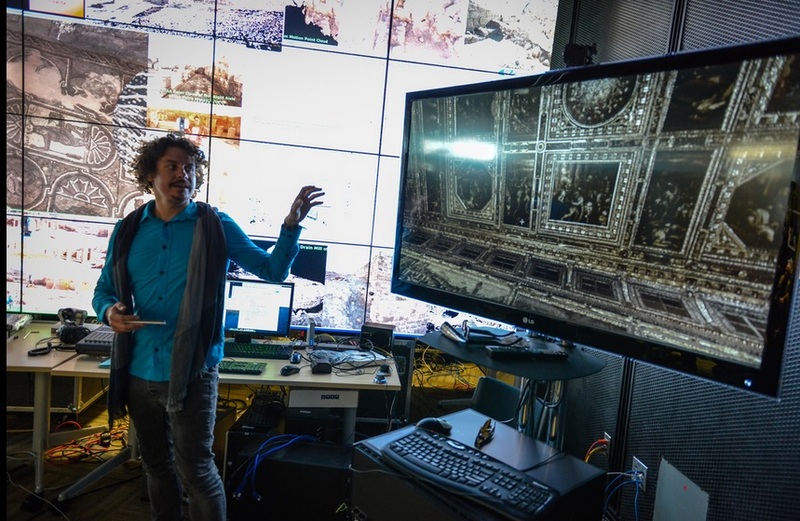 Vid Petrovic displaying his visualization software and the point cloud of the ceiling of Palazzo Vecchio. Ashley M. Richter showing off the latest archaeological LiDAR results from Petra. Though the majority of demos took place within the screen-coated halls of the Qualcomm Institute, the UCSD branch of the California Institute of Telecommunications and Information Technology (Calit2), occasionally we were sent out and about for such demos. Last summer for instance, I was sent up to the Cotsen Institute of Archaeology at the University of California, Los Angeles to lead a workshop on digital imaging for archaeology and be their guest lecturer for the evening–discussing all of my lovely research meanderings in archaeological visualization, layered digital systems of data, and other such goodies. Both of those presentations are available, open access, on SlideShare, as is the full overview of CISA3 presentation that I put together for the fall 2013 season and which has served as the basis for most subsequent presentations of CISA3 work. Tagged archaeology, Architecture, art, Ashley M. Richter, California Institute of Telecommunication and Information Technology, Calit2, Center of Interdisciplinary Science for Art Architecture and Archaeology, CISA3, computer science, Cultural Heritage, Cultural Heritage Diagnostics, cyberarchaeology, demonstrations, Digital, digital archaeology, engineering, technology, University of California San Diego, Vid Petrovic, visualizationBookmark the permalink.